A Kuttrolf is a flask with a neck that is divided into two or more tubes. It has Roman antecedents, it was made by German glassworkers in the later Middle Ages, and it is found among Venetian and façon de Venise glasses of the 16th and 17th centuries. The making of a Kuttrolf stem is the subject of this video. 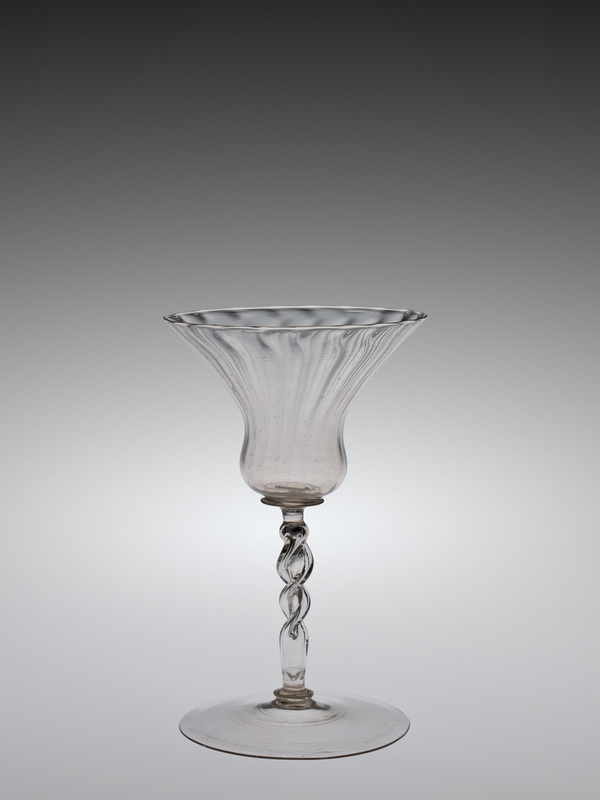 The Kuttrolf-type stem that we sometimes see in 16th- and 17th-century Venetian glasses is named after the carafe called the Kuttrolf, with its characteristic neck, popular at the same time. The stem begins with a bubble. It’s lowered in place. After it’s elongated, air is sucked out of the blowpipe suddenly, and in the center of the bubble the two sides touch, but at the edges the bubble remains open. 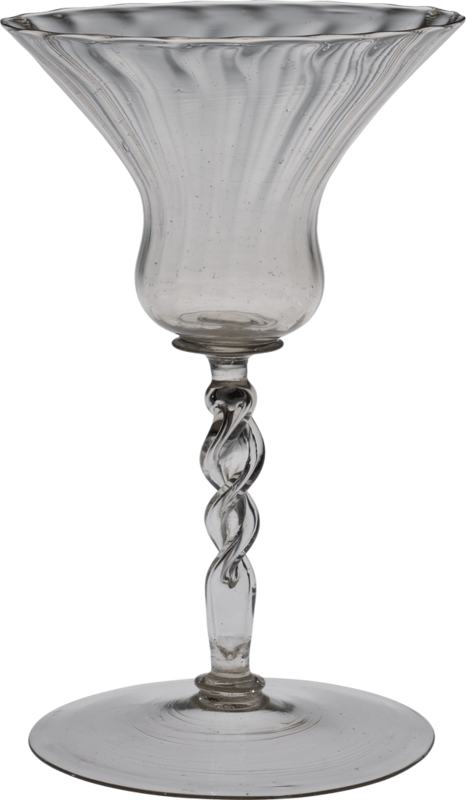 The stem is given its final length and degree of twist, the excess glass is trimmed free, and the process of finishing the goblet continues.